Sunday, November 16 at 3pm - Hether Vogel Frederick presents "A Little Women Christmas" and "Absolutely Truly"
Please join us on Sunday, November 16 at 3pm, when we welcome Heather Vogel Frederick with two new books, A Little Women Christmas and Absolutely Truly. Heather Vogel Frederick is the author of the incredibly popular Mother-Daughter Book Club series, as well as the highly acclaimed The Voyage of Patience Goodspeed, The Education of Patience Goodspeed, and the Spy Mice series. She lives with her husband and sons in Portland, Oregon. Come meet children's author Heather Vogel Frederick! We are very excited that Heather Vogel Frederick, author of some great middle reader books, will be helping out at the bookstore Sunday and Monday! We will host a meet and greet for young readers on Monday afternoon at 4pm. Don't miss the chance to talk to this author about writing novels, researching stories, and almost anything you want to know about owls! Maybe you'll be inspired to start your own book club! 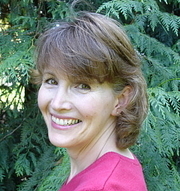 Heather Vogel Frederick is currently considered a "single author." If one or more works are by a distinct, homonymous authors, go ahead and split the author. Heather Vogel Frederick is composed of 2 names. You can examine and separate out names.